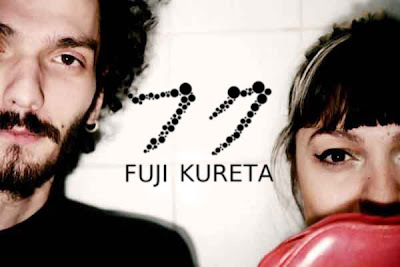 Fuji Kureta are a duo from Istanbul making downtempo electronica with vocals in both English and French. The members Sahin Kureta and Deniz Öztürk have been making music together since August 2008. Their music reminds me of some of Björk's songs mixed with something that Portishead and Trentemøller are up to. Interesting music with soft but strong melodies. So interesting that they in 2009 won "Best Electronica Act" award in Miller Music Factory Contest. In late May Fuji Kureta released the EP "Sweets" on Gergaz Netlabel and you can download it for free at their site.